Added by Indo American News on September 23, 2016. HOUSTON: Houston Indians have a rare chance to listen to a Former Supreme Court Justice who has boldly fought against corruption. He put behind bars the most powerful Reddy brothers from Bellari in connection with corrupt mining practices which finally resulted in the resignation of Karnataka’s BJP Chief Minister, Yaddiurappa. 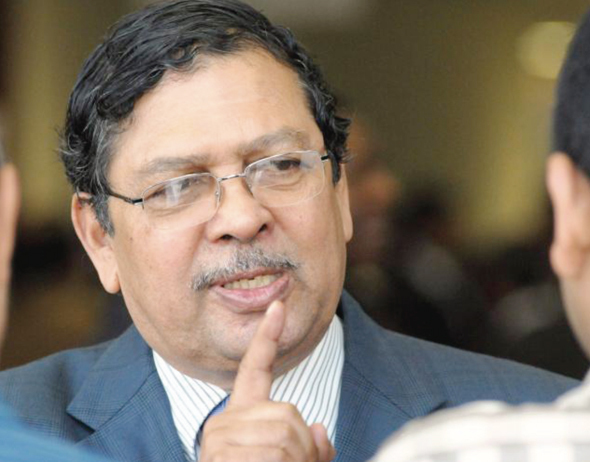 Justice Santosh Hegde after retiring from the Supreme Court of India got involved in fighting corruption as Lokayukta. It was during Hegde’s time as Lokayukta (Lokayukta is an institution in each state which has the power to investigate into any corruption charges) Lokayukta became a model for the rest of the states. When BJP government was interfering in his investigation of the corrupt practices in mining operations, he resigned as Lokayukta. Then Advani, a family friend of Hegde requested him to take back the resignation and promised to convince Karnataka Government to extend all help in prosecuting the corrupt. As Anna Hazare’s anti-corruption movement was coming to the national agenda, Hegde’s involvement as a core group member gave a tremendous boost. Though Anna Hazare and Arvind Kejriwal have been given much credit for the anti-corruption movement, it is the enormous credibility of Justice Santosh Hegde which laid the solid foundation. However later when Kejriwal converted it into political movement, Justice Hedge quietly moved away from it. But he did not stop his anti-corruption drive and continued to speak to motivate people to get involved. On one important topic of getting involved in politics, I differ from Justice Hegde. If every one were to keep away from politics as he has done, who will fill the political space in a democracy. Just imagine if only Justice Hedge like his late father K S Hegde has joined the political party and led AAP and not Kejrival. India’s anti-corruption movement today might have been different. Foundation for India Studies have organized an event at India House on Thursday, September 29, at 6.15 PM during which Justice Hegde will speak.